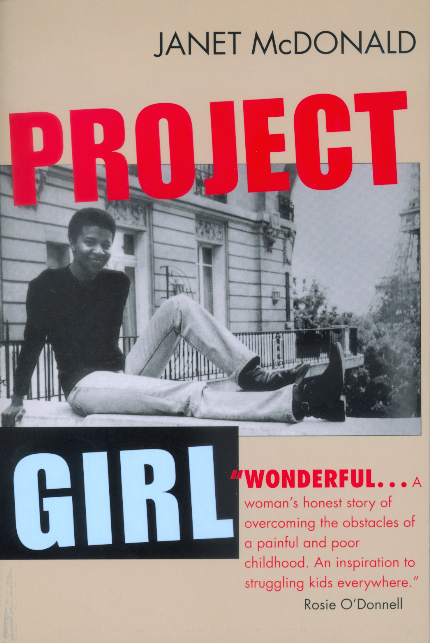 Selected by The Los Angeles Times Book Review as one of the best books of the year, Project Girl is the powerful account of a young woman's struggle to realize her dreams while remaining true to who she was before attending Ivy League schools and receiving impressive diplomas. It tells of the spectacular failures and unlikely comebacks of a ghetto kid whose academic talent opens doors onto a world of private schools, rich classmates, and plum jobs but who back home confronts a neighborhood of growing poverty, drug abuse, and crime. Project Girl is McDonald's story of her divided life and terrible battle to reconcile opposing worlds. Janet McDonald grew up in a public housing project in New York City. A graduate of Vassar College, Columbia University Graduate School of Journalism, and New University School of Law, she is currently a lawyer in Paris.